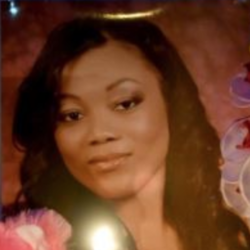 Lajuana Phillips was fatally shot by a sheriff’s deputy after she allegedly was involved in a confrontation at a used auto lot in Victorville. Lajuana Phillips, a 36-year-old Helendale resident, had gone to the dealership on the 14000 block of Seventh Street Tuesday afternoon because she was upset about the operating condition of a car she bought there, multiple witnesses told San Bernardino County sheriff’s investigators. Someone else at the business called authorities just after 12:30 p.m. to report that her husband was just punched in the face by a woman. The caller also told officials that the woman was still at the dealership and had begun fighting with another person, the Sheriff’s Department said in a news release. Other bystanders later told investigators that Phillips was so enraged by the issues with her car that she made threats against the lives of dealership employees. The lone deputy who responded to the scene found Phillips in the parking lot. After running a records check, the deputy discovered she had a misdemeanor arrest warrant out of West Covina for allegedly driving with a suspended license, authorities said. Officials allege that Phillips became uncooperative once the deputy informed her of the warrant and got into her car. She proceeded to ignore the deputy’s orders to exit the vehicle, the Sheriff’s Department said. The deputy then attempted to force her from the car by deploying pepper spray into it. Investigators accuse Phillips of trying to drive her car toward the deputy at that point. That’s when the deputy opened fire, authorities said. Footage from the scene shows a white Mercedes Benz hatchback that appeared to have been exiting the parking lot before its front passenger and driver’s side windows were shot out. The Sheriff’s Department has not said how many times the deputy fired, or how many times Phillips was struck. She was pronounced dead at the scene after paramedics arrived. The man assaulted by Phillips declined medical attention, and the deputy was not harmed, officials said. On October 20, 2018, the sheriff’s department identified Deputy Jaime Pulido as the offficer who shot 36-year-old Lajuana Phillips.